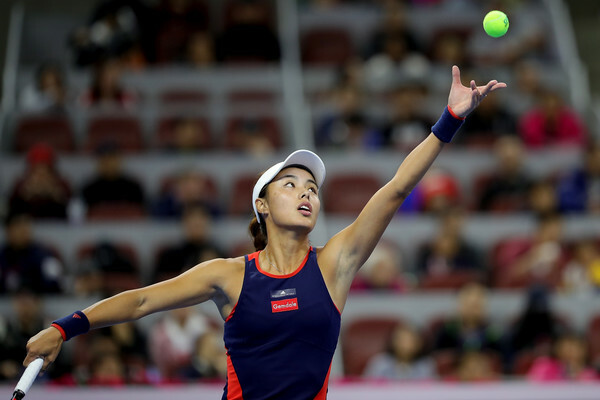 Wang Qiang, playing in her fifth consecutive semifinal, is into the final of the Hong Kong Tennis Open after ousting former world number one Garbiñe Muguruza with a thrilling 6-7, 6-4, 7-5 scoreline after two hours and 40-minutes of action. 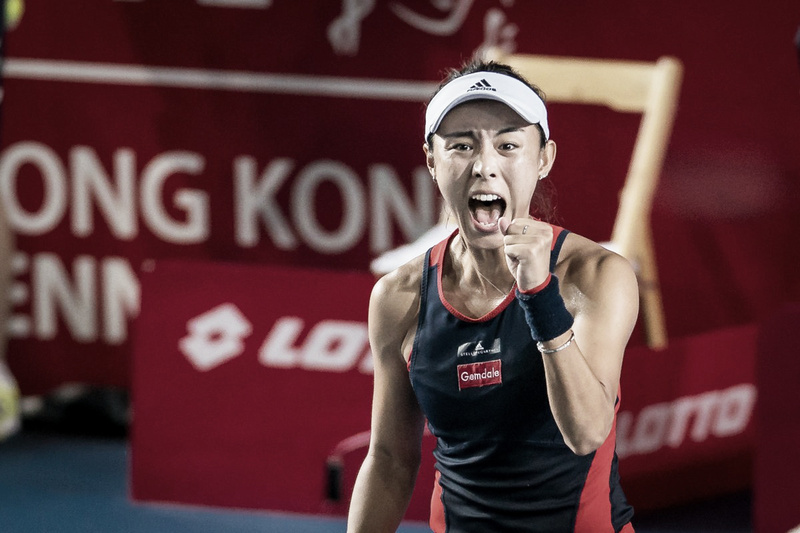 In what could be one of the best matches of the entire year, the red-hot Wang Qiang continued her run of good form and added yet another Major champion under her scalp. 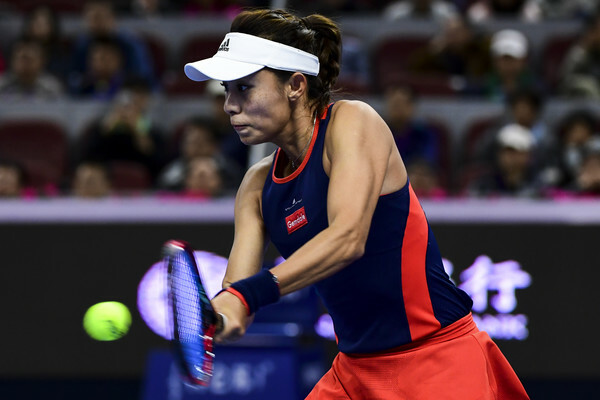 The Chinese produced an inspired comeback and defeated world number 13 Garbine Muguruza in the semifinals of the Hong Kong Tennis Open, just hours after she had completed her straightforward win over Elina Svitolina (which was her first career top-five win). 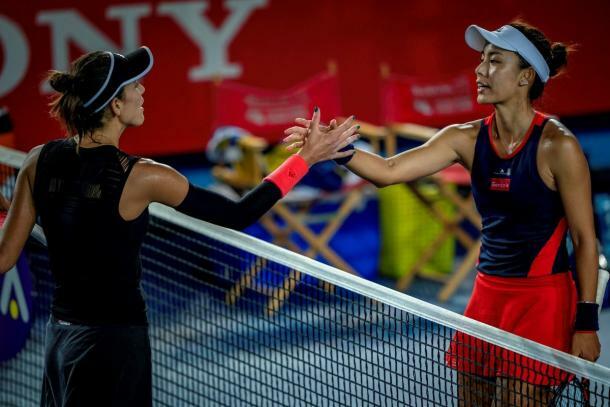 However, she had to battle it out against the two-time Grand Slam champion, who seemed determined to get over the finishing line but just could not close out the match as Wang battled back from the brink, coming from 1-4 down in the final set to triumph. With the intense rallies and high-quality ball-striking, this match is definitely a contender for the match of the year. With this win, Wang progresses to her second WTA final in four weeks, having made the final in Guangzhou as well. This is also the fifth consecutive semifinal appearance for the Chinese in as many weeks, and she will have a huge chance of rising even further up in the rankings as she takes up youngster Dayana Yastremska, who will be competing in her first-ever WTA final, in the championship match. It was a shaky start from Wang, who had to fend off a break point with a net-cord winner and narrowly survived a tricky service game in the opening game. Despite having the brighter start, Muguruza was the first to let loose and a slew of unforced errors was produced off her racquet. The Spaniard sent a huge forehand long, and Wang took full advantage by earning the early break. She was unable to hold onto her lead, though. Muguruza continued to apply the pressure and punished any vulnerable serves, grabbing the immediate break back as she returned on serve within a blink of an eye. The servers just could not find the momentum as four consecutive breaks came and went, with both players remaining on serve following the multiple shifts of momentum. Seven successive holds followed, but Muguruza prevailed in a high-quality rally; overpowering Wang to save a set point while serving at 5-6. Amassing her confidence, the former world number one stormed through the one-sided tiebreak, converting her fourth set point as Wang never really had a chance throughout the entire tiebreak. Wang came out of the blocks firing on all cylinders in the second set, and a series of good returns allowed for her to be the more aggressive player in the opening stages. 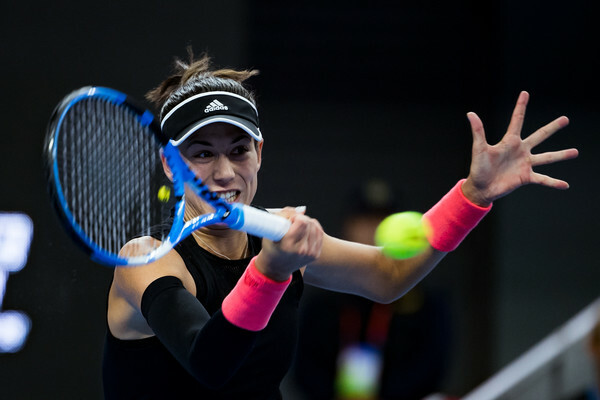 Muguruza, unable to handle the power and aggression on those returns, was ultimately broken in the opening game. It turned out to be yet another string of breaks, but this time Wang had the last laugh as she finally managed to consolidate the break. Things got tight towards the closing stages as Muguruza found a way to level the scores at 4-4, with Wang starting to get frustrated with herself due to her successive unforced errors. Nonetheless, the Spaniard herself was unable to hold onto her lead as Wang produced some stunning and powerful forehand winners to reclaim the lead, alongside the golden opportunity to serve out the set. The nerves certainly kicked in as Wang found herself quickly down 0-40 while attempting to serve out the set. Muguruza was coming up with the goods; an unexpected backhand down-the-line winner followed by a superb backhand lob winner, while Wang sent in an unfortunate double-fault at 0-30 to give Muguruza a huge opening. However, just when it mattered, Wang stepped up her level of play, saving all three of them, including one with an ace. She proceeded to convert her second set point, with Muguruza narrowly missing a backhand down-the-line. 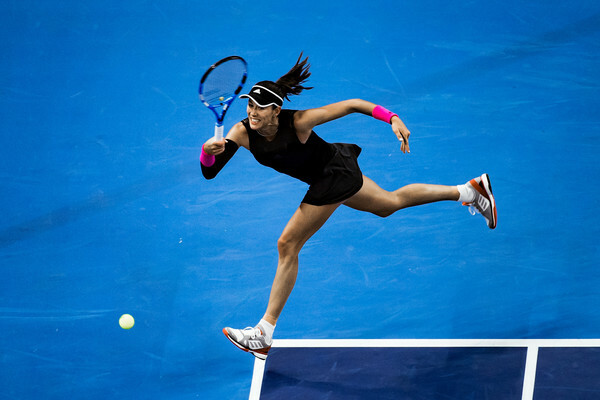 Muguruza had to dig deep to grab the tough service hold in the opening game, and she required some luck as Wang just missed an open forehand by an inch on break point which paved the way for the former world number one to seal the tricky opening hold. 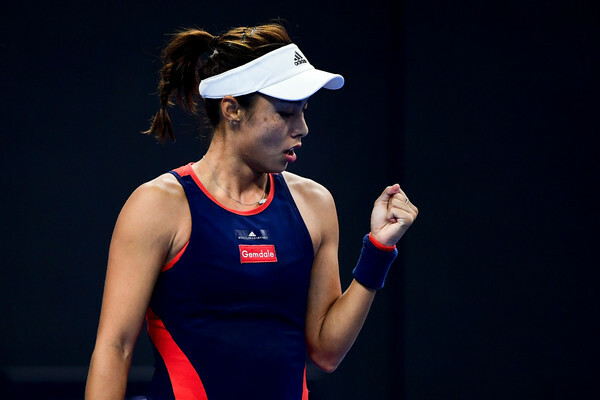 Unexpectedly, from there, Wang completely lost the plot as Muguruza came up with several impressive shots to earn the first breakthrough. This time, Muguruza became even more aggressive and looked determined to close out the match as she fiercely charged towards the consolidation of the break, opening up a commanding 3-0 lead within a blink of an eye. Just when Wang seemed listless and her chances of triumphing were slowly minimized, she shocked everyone when she played a perfect return game to return level on the scoreboard. Things got complicated for Muguruza as she was broken at the most crucial moment of the match. 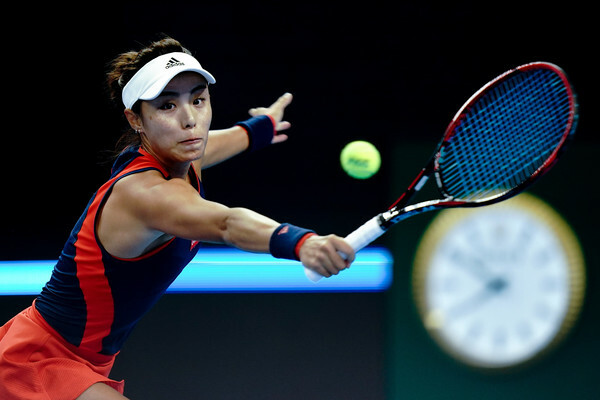 She was just inches away from converting a game point but her backhand proved to be long as Wang took full advantage of her chances — but also with the help of Muguruza’s unforced errors as she earned the perfect opportunity to serve out the match. Wang stayed composed and efficient this time around, sending in consecutive first serves which finally sealed her the marathon win after 160 minutes, grabbing the win with an ace. It was a high-quality showing from both players, particularly from Wang who fired 48 winners to just 32 unforced errors while Muguruza was not too bad either, finding 35 winners but misfired more often, producing 37 unforced errors.